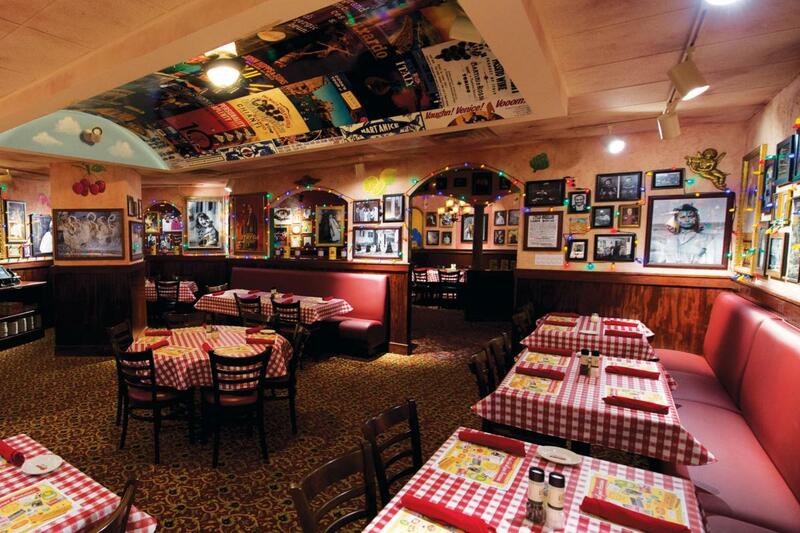 Buca di Beppo Italian Restaurant is a great place for Italian food and fun. Buca serves family-style food in two portion sizes. "Buca Small" serves two or more and "Buca Large" serves four or more. Whether you’re celebrating a special occasion, planning a business dinner or having a night out with family and friends, you’ll enjoy Buca’s authentic Italian cuisine in our eclectic, vintage setting. Ask about Buca’s specialty tables—a “Pope’s Table” that seats 12-18 and a “Kitchen Table” that seats 6-10.